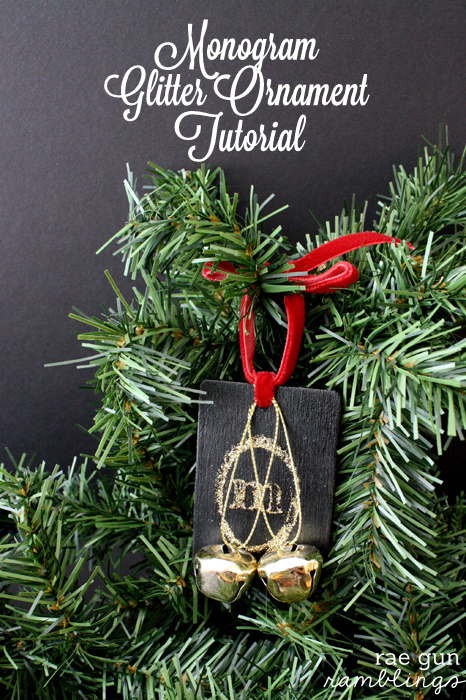 Today I have a quick and easy monogram glitter ornament tutorial. It’s perfect for gift giving and totally customizable. 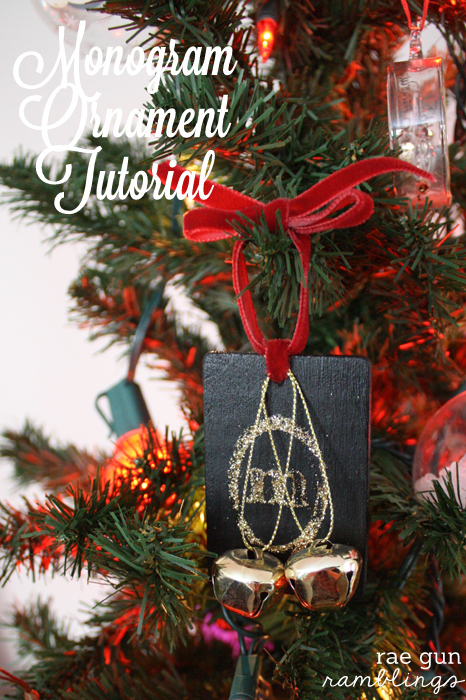 Last week I shared an easy stencil technique for a glitter ornament and this is just another way that you can get a cute design out of glitter. Begin by drilling a hole in your wood piece. If you’re not comfortable using a drill feel free to just glue your ribbon on at the end to allow it to hang. Next paint your wood piece making sure to cover the edges. After the paint dries apply a single coat of Mod Podge and allow to dry. Paint a thin even layer of Mod Podge onto a scrap surface and place your stamp on it like it is an ink pad and then stamp your wood piece with the Mod Podge. If you don’t like how it stamped you can quickly rinse it off and start again. Next sprinkle generously with gold. Allow to set for at least an hour. 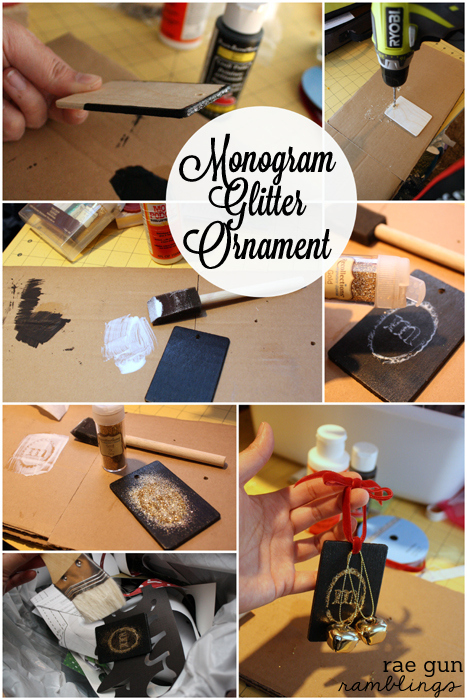 Tap off the excess glitter and if necessary you might want to take a dry brush to clear the rest of the glitter. String a ribbon through the hole tie a knot then form a loop and tie a bow to allow it to hang. 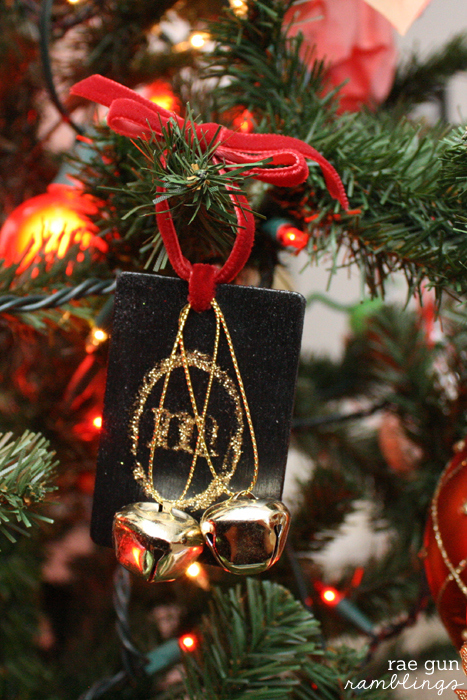 Hang on your tree or give it as as gift. This was originally posted on Lines Across as a part of Rachel’s awesome handmade ornament series.